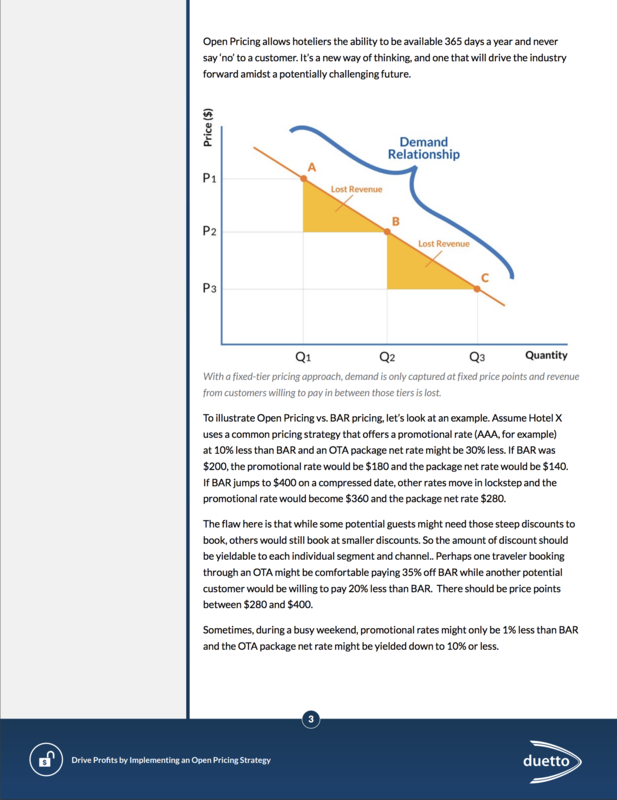 The majority of hoteliers are still pricing their inventory with the 20-year-old BAR method. 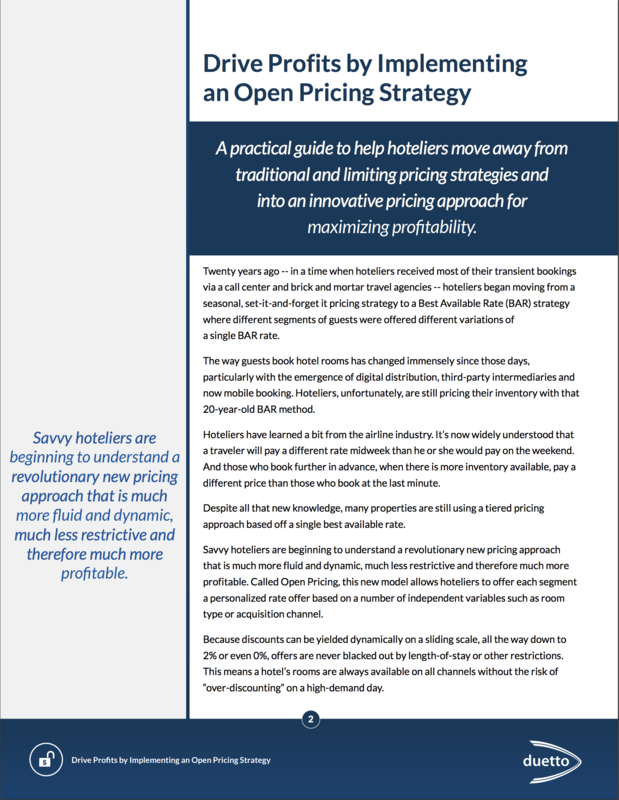 Open Pricing allows hoteliers the ability to be available 365 days a year and never say ‘no’ to a customer. 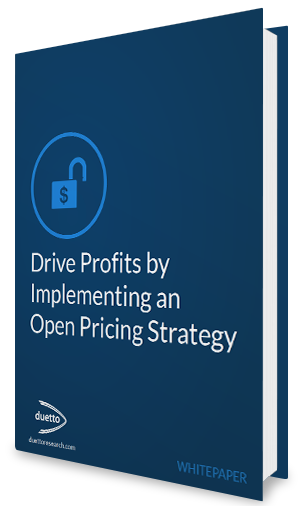 In this guide you will learn how to implement an open pricing strategy and start yielding each segment individually to increase profitability. 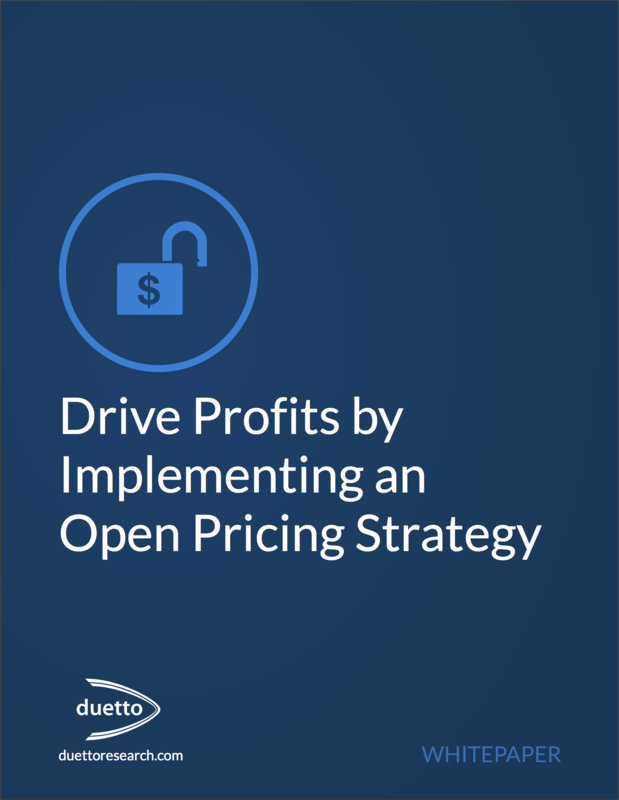 "Open Pricing maximizes revenue growth by providing the ability to yield rates independently based on dates, channels, room types and other factors without ever closing availability. " 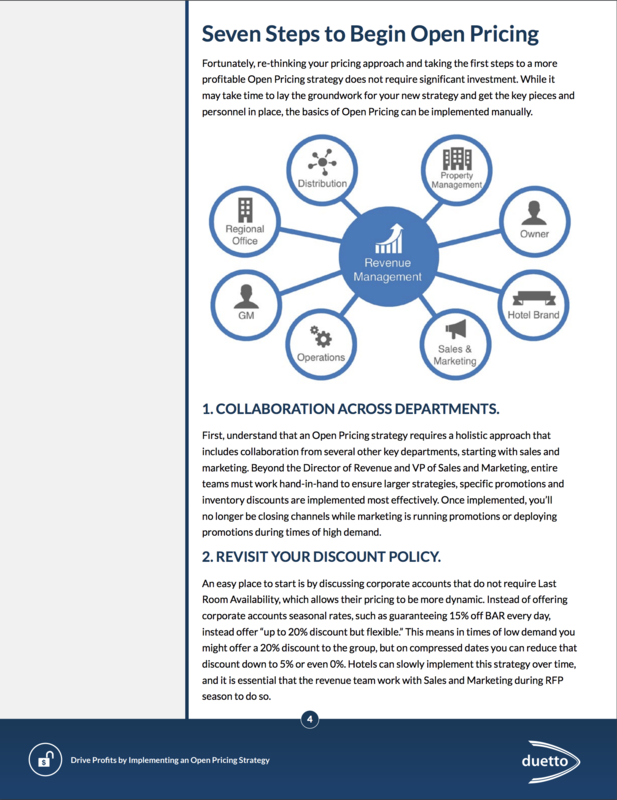 Eric leads Duetto's marketing strategy and execution and has been with the company since January 2013. 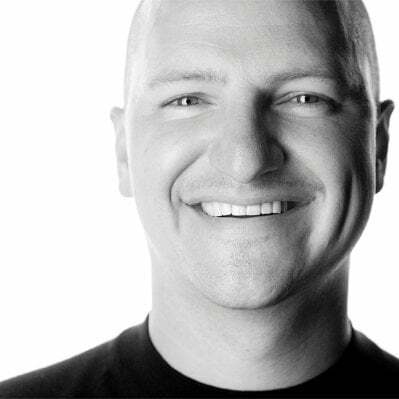 He started as a writer and became senior director of content, where he created and managed the company's extensive library of thought leadership and educational content. 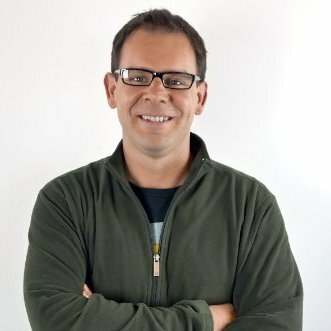 Before joining Duetto, Stoessel spent eight years covering the hospitality industry as an editor at Lodging Hospitality, Restaurant Hospitality and Food Management.